Hospice care neither prolongs life nor hastens death. 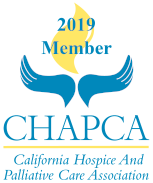 Hospice professionals provide compassionate support, comfort care, and education through the presence of the hospice team, and bring specialized knowledge to the patient and family during this very difficult time. Our purpose is to control pain and its symptoms, and to assist both patient and family with emotional, social, and spiritual needs during the end-of-life journey. We seek to honor the dignity of the patient while we respect the natural process of dying. Hospice of the Valleys offers a variety of bereavement and counseling services to the patient and family both before and for at least one year after the patient’s death. What if I show signs of recovery? Can I return to regular medical treatment? Yes. If your condition improves or you decide to seek further curative treatments, you may be discharged from hospice at any time. At a later time, should you seek to return to hospice care, Medicare and many private insurance companies allow for coverage for additional hospice care. Will my advance directives be honored by Hospice of the Valleys? Yes. It is your right to choose your advance directives. Our team of professionals will review all options with you. Can my own doctor still be involved with my care? Yes, our medical director and hospice team communicates with your physician while you receive care. When I am on hospice, will I still be able to make my own decisions regarding my care? Yes. With hospice care, you and your family are a part of our treatment team. 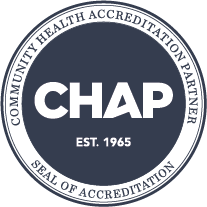 We partner with you when making decisions about your healthcare. If I don’t like my hospice agency, can I choose another? Yes, you can choose another hospice. If you have concerns, complaints or questions, you should first address them with your current hospice. Should you be unable to resolve the issues of concern, you have the right to transfer to another hospice. Contact the agency to which you would like to transfer to and they will call your current hospice provider. The agencies should work together to implement the transfer. Why should I choose Hospice of the Valleys? For the past 35 years, our caring professionals have served Southwest Riverside County with quality, state-of-the art hospice care. As your local community hospice, we are uniquely qualified to serve you and your family with expert care as we foster reverence for life, relief of suffering, and compassion in loss. Our physicians work exclusively for Hospice of the Valleys and dedicate 100% of their time to our patients while maintaining low case loads. With a simple phone call to Hospice of the Valleys at (951) 200-7800. Hospice care can begin immediately for those who qualify and we will contact your physician to obtain a referral. Now is the right time to learn more about hospice care and its benefits. End-of-life care is often difficult to discuss, especially at a crisis point during the course of a life-limiting illness. Planning ahead can reduce stress when the time comes for a hospice admission. Our admissions team would be glad to assist you and your family with such a discussion. We also encourage you to discuss the option of hospice care with your physician. To speak to an admission representative, please call us at (951) 200-7800. We are here to help. Hospice care is covered under Medicare, Medi-Cal, most private insurance plans, HMO’s and other managed care organizations. 80% of people who receive hospice care are over the age of 65 and are entitled to services offered by the Medicare Hospice Benefit. This benefit covers virtually all aspects of hospice care. Because Hospice of the Valleys is a nonprofit organization, no one is denied care due to financial need. As a general guideline, patients are eligible for hospice services once the patient’s physician and the hospice medical director have determined that the life expectancy of the patient is six months or less, should the disease run its expected course. Hospice care is available to anyone, regardless of age, ethnicity, race, religion, gender, socio-economic status, sexual orientation, or illness. Hospice of the Valleys affirms that each person is an individual of infinite worth and respects the dignity of all. Can I choose my Hospice provider?